So, when I picked up my daughter from school yesterday, they informed me that they would be eating Hamantashan. I rushed home to see if I could replicate what I haven’t had in years. 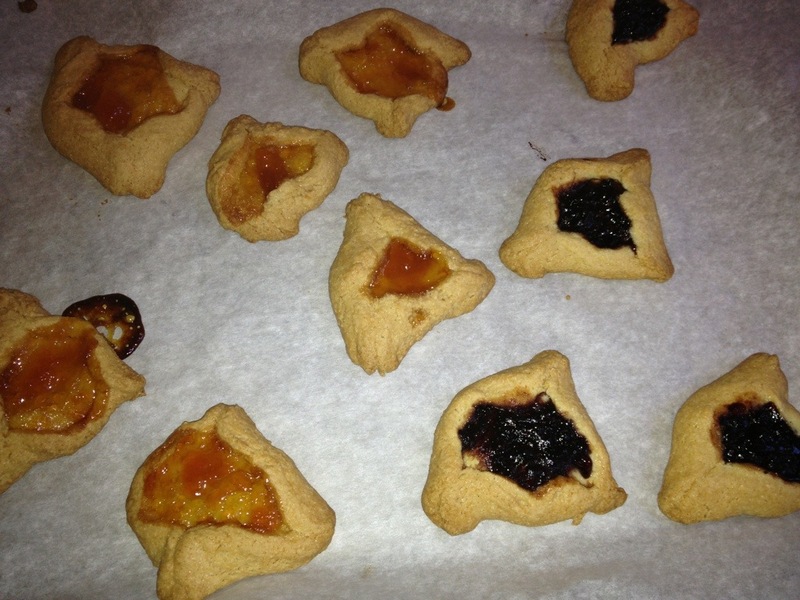 I made gluten-free, dairy-free hamantashan and they were AMAZING!! I got rave reviews. Just as a note, lots of hamantashan are made with a citrus zest. I really like mine just plain and simple, so I did not use any of that. 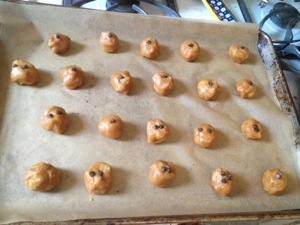 Any kind filling: jam, nutella, chocolate chips, poppy seed, etc. 1.Preheat your oven to 350 degrees F.
2. 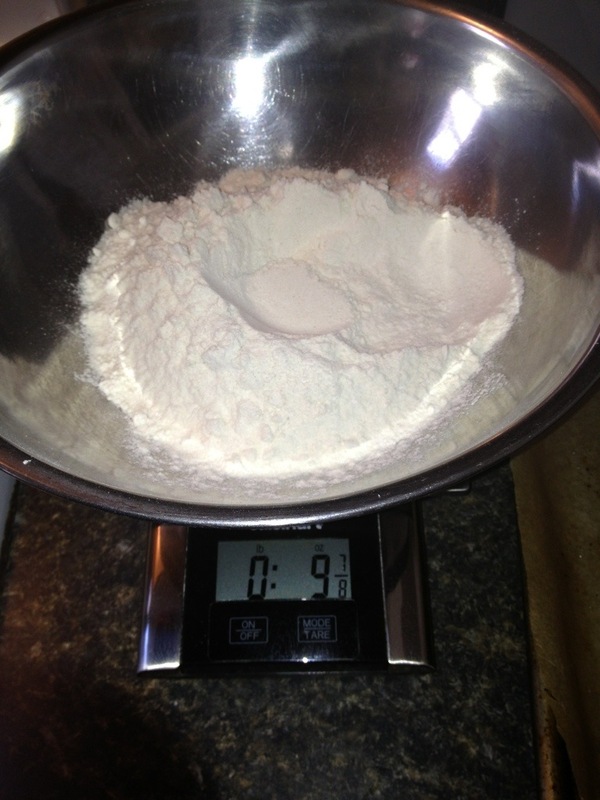 Weigh your flour and then add baking powder, salt, and xanthan gum. 3. 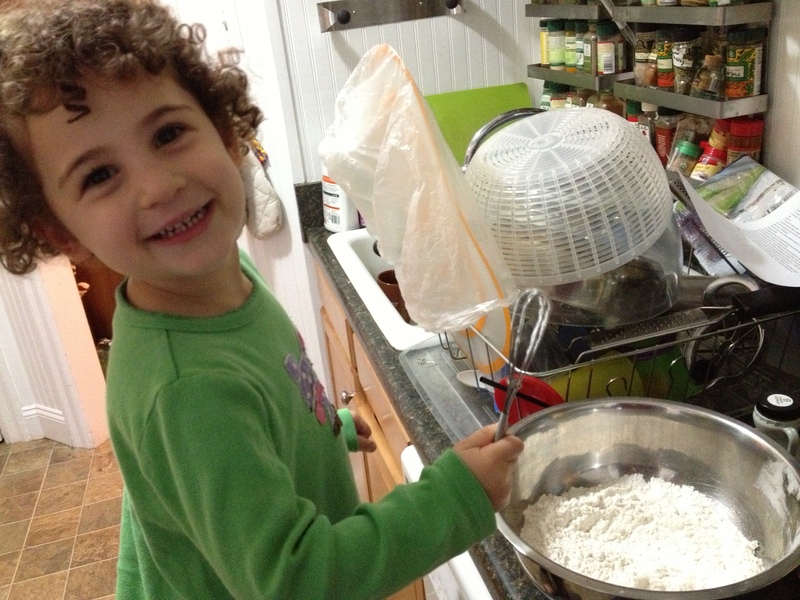 In a separate mixing bowl, whisk together the eggs, sugar, canola oil, and vanilla. 4. Slowly add dry ingredients to wet. Note: this never formed the hard pastry dough I was thinking it would. It was quite sticky. I contemplated adding more flour, but decided it would be better to refrigerate. 6. Refrigerate dough for about 20 minutes. 7. 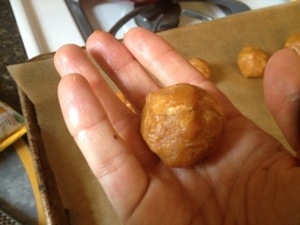 On a sheet of parchment paper, break dough off and roll into about 1″ balls. 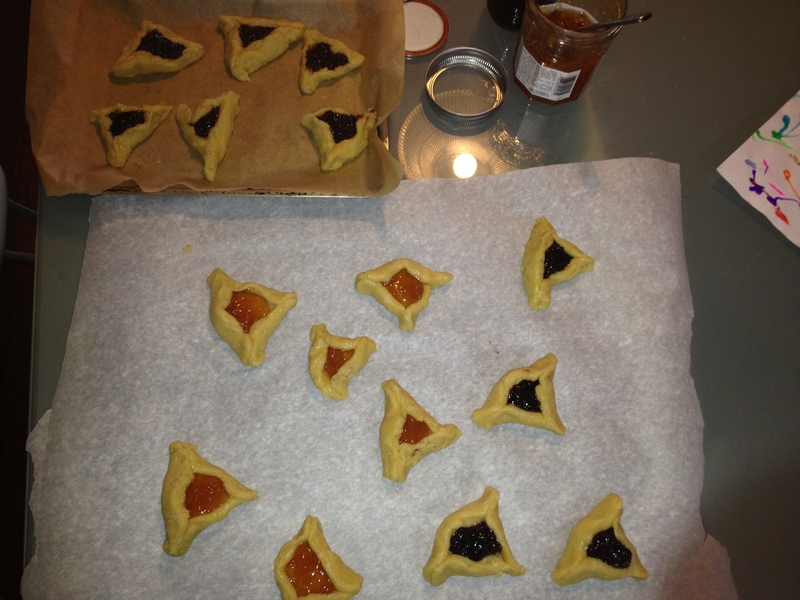 I completed each Hamantashan at a time, because the dough was a bit sticky and I didn’t want it to sit and get too warm. 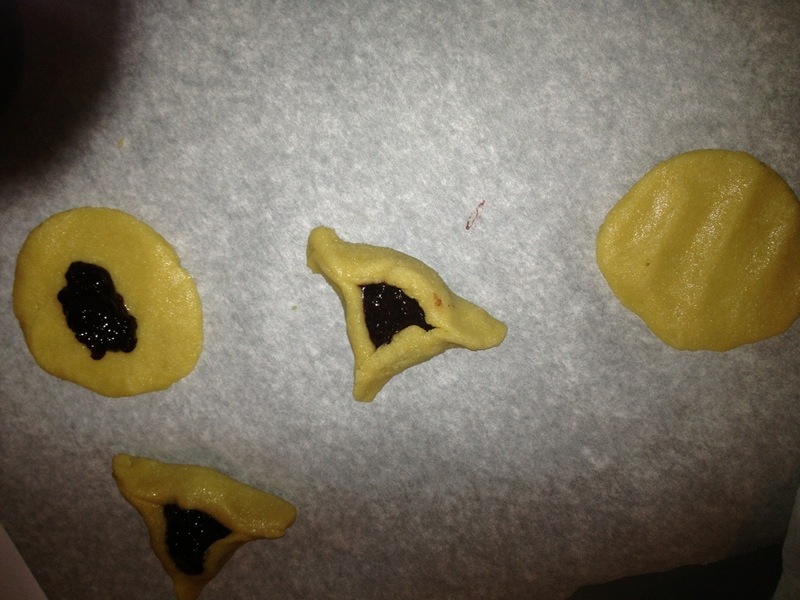 Flatten them out, put a dollop of jam in the middle, then pinch corners together to make a triangle. 8. 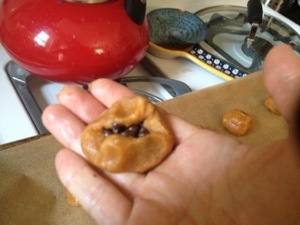 Place formed dough in a 350* oven and bake for about 30-35 minutes until edges just begin to brown. 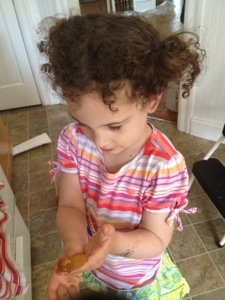 The chewiest, moistest, even bendable cookies yet! Ok, she threw the challenge right in my face. 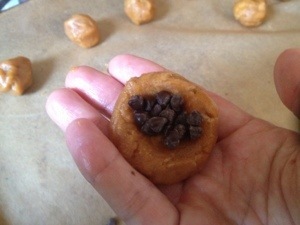 I was going to have to prove her wrong, but when I went to look at the recipe, it was so filled with sugar and butter, that there didn’t seem to be anything left of the cookie. Well, that got me thinking what if I substituted maple syrup for the brown sugar. It all seemed way too complicated. Then I wondered what would happen if I baked with molasses. I had just been reading about blackstrap molasses (unsulfured) its benefits; it is a good source of Iron, Calcium, Magnesium, B Vitamins, Vitamin E, Manganese, Potassium, and other trace minerals. This is especially great for those with gluten sensitivities and Celiac disease, because we are often deficient in vitamin Bs and iron. To read more, you can check out Prescription for Nutritional Healing by Phyllis A. Balch, Certified Nutritional Consultant. I was gung-ho on figuring out how to cook with it. 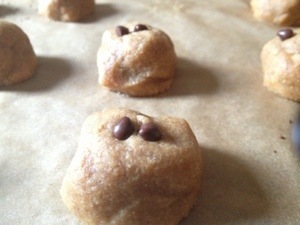 I found a recipe from Joy the Baker for molasses chocolate chip cookies. I was sold. It seemed easy enough with my “proprietary” blend of GF flour that I have concocted. I got out all of the ingredients and was quite pleased that I had everything in the house considering the fact that everything around us was closed for the hurricane. This was a take 3, because the first picture I had some how inserted the maple syrup and then there was a bit of a snafu. So I begin mixing the flours, and melting the butter. 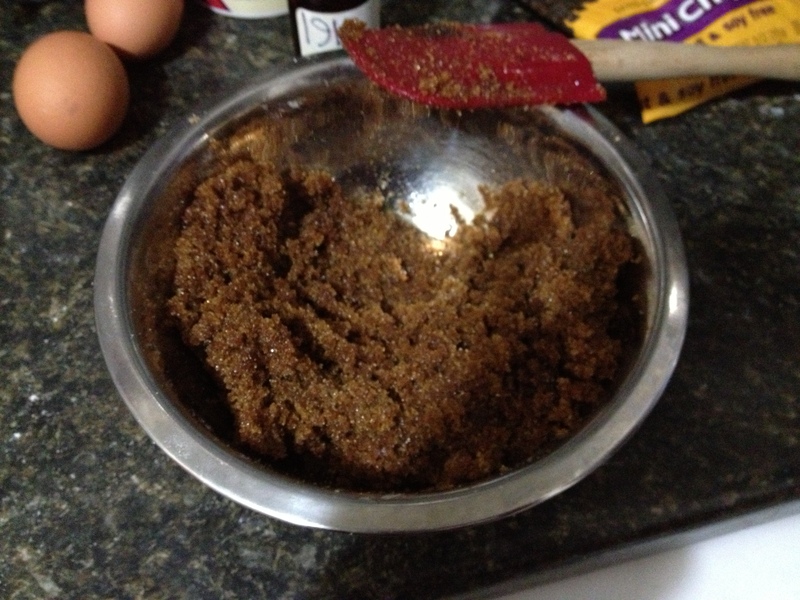 Then it’s time to make the homemade brown sugar, made by blending the sugar with the molasses. As I’m reading a bit more carefully, I come to find that the recipe says Do Not Use Black Strap Molasses. Of course if you look carefully at the ingredient list, I have blackstrap molasses. Ahhhhhh!!! Now what was I going to do. The butter was melted, and flours combined . . . I texted everyone on my block I could think of for dark molasses. The first response was a negative. The second response was, “Oh, no. It expired in 2008, but feel free to get it if you want to poison yourself.” I took that as a negative. The 3rd person had it! Yippee!! 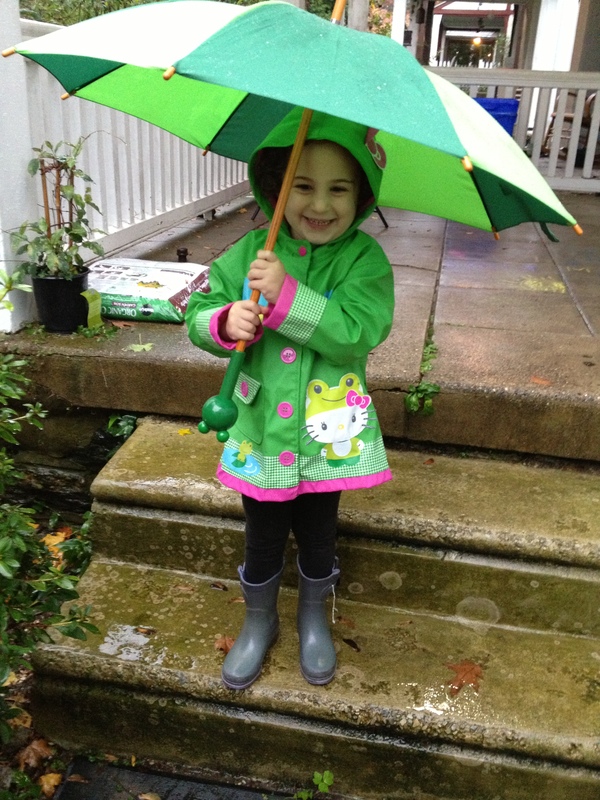 My daughter and I suit up to brave the storm just to get across the street with winds howling, but rain was at a minimum at this point in the day. We walk to our neighbor’s house to be greeted with a Please Come In. They hand me the molasses and I couldn’t be more thrilled until I read that it, too, was blackstrap! Blackstrap is more bitter than dark or light molasses and has less sugar in it. Argh!! Back to the drawing board. Thank goodness we still had power. I immediately began my research for what to do next. Was there a substitute possible? With a bit of persistence and digging, there was! I was to cut the molasses in half with corn syrup. And guess what?!! I had corn syrup at home!!! Yippee!! 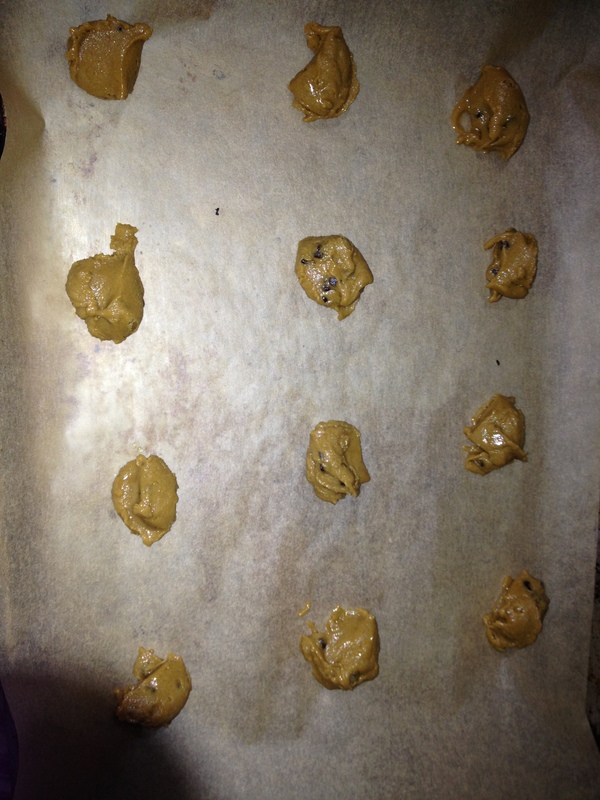 My cookies were going to make it! 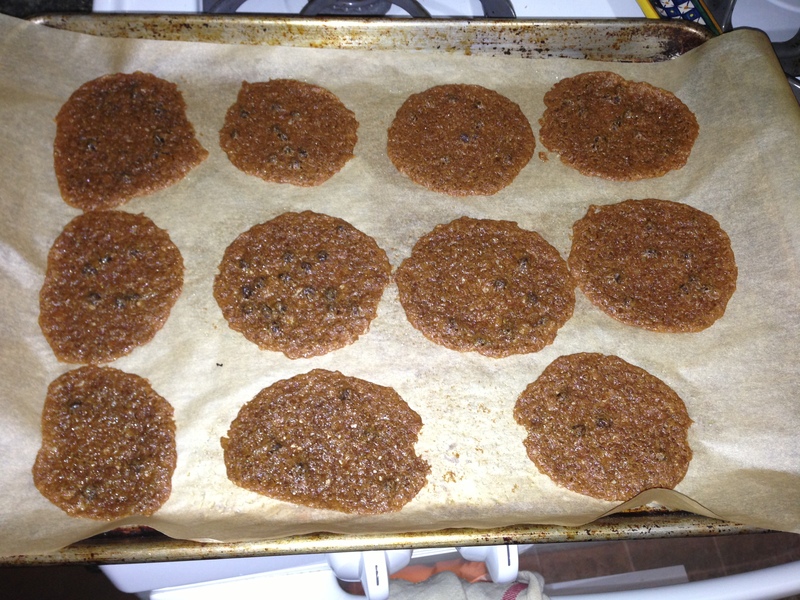 I will say that the batter tasted better than ever, but when they cooked up, they were flat. Most likely it has to do with using my “proprietary” gluten-free blend, but I’ve never encountered this problem before. It also might have to do with my substitutions. 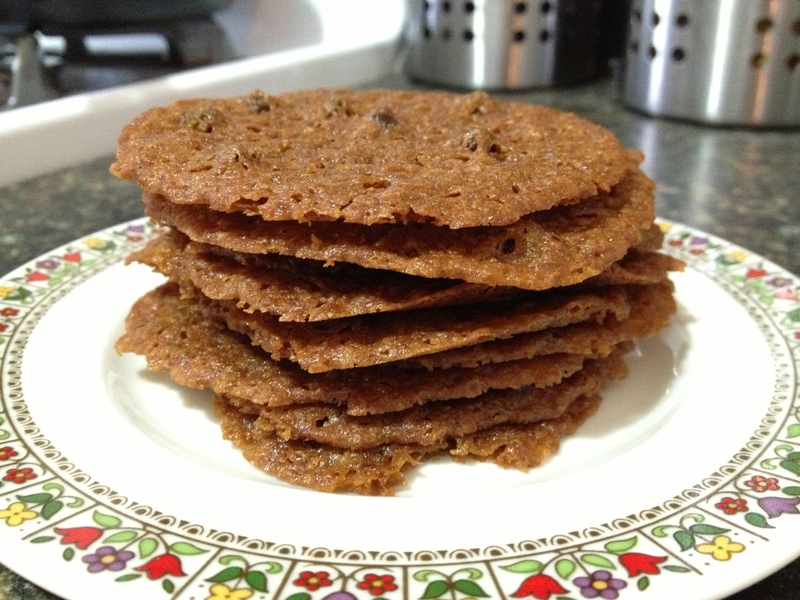 However, I was quite pleased with the end product, I will now call brittles. 1. Melt the butter in a medium saucepan over low heat. 2. 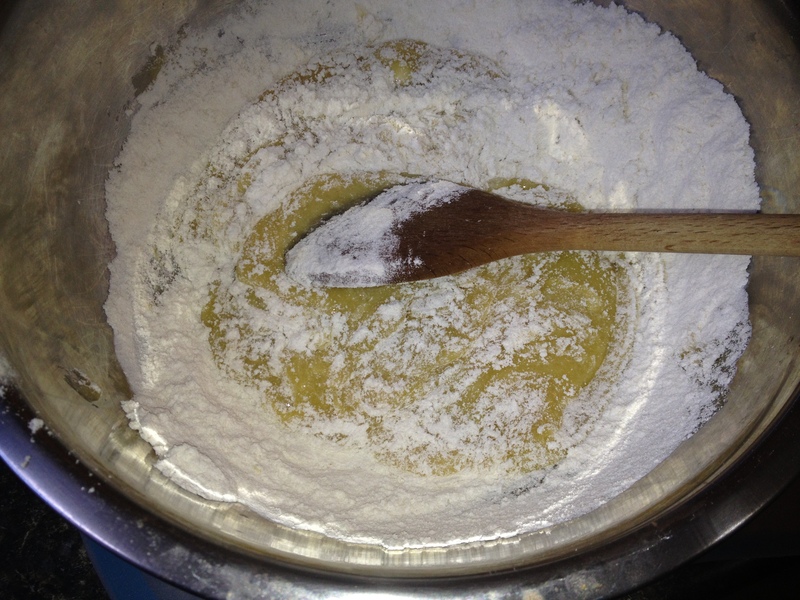 Mix together the flour, salt, and baking soda and put aside. 3. 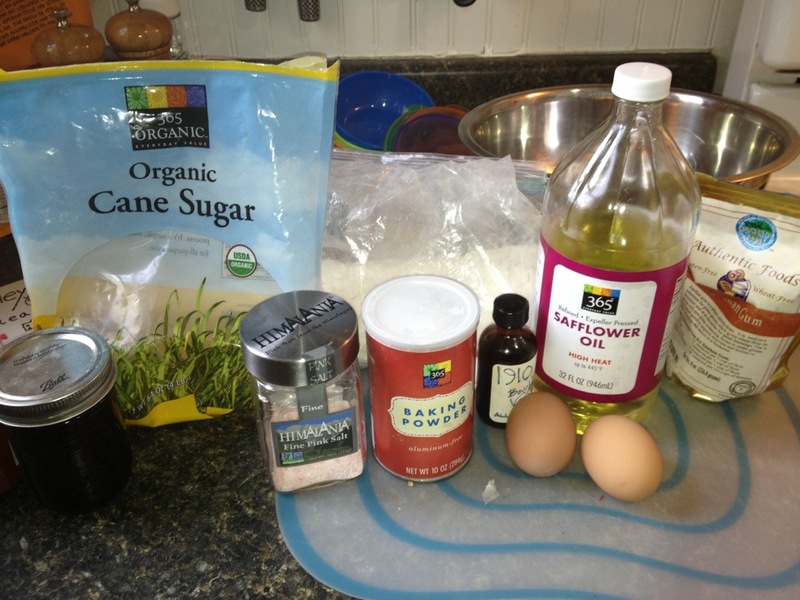 In a medium sized bowl, mix the granulated sugar and molasses (corn syrup and blackstrap) until no large molasses clumps remain. 4. Pour the melted butter into a large bowl. 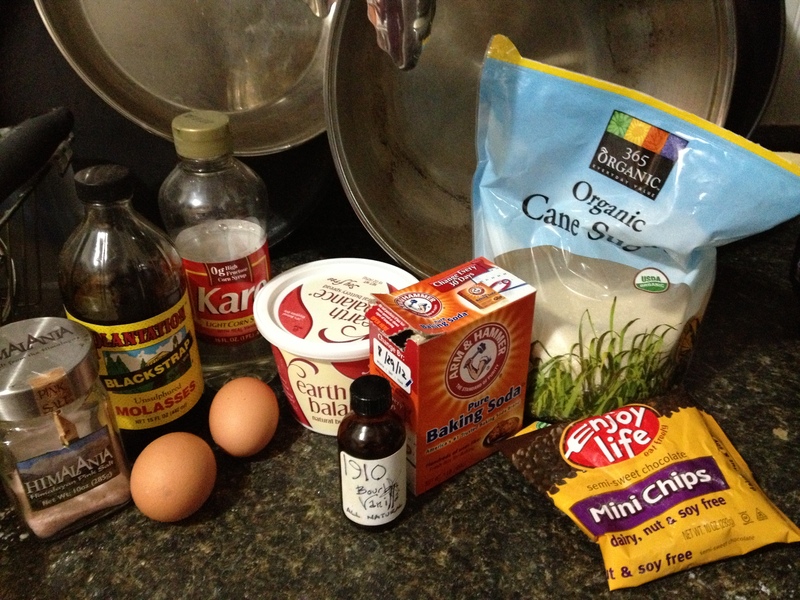 Add the sugar/molasses mix. 5. Cream the butter and sugar on medium speed for about 3 minutes. (Because the butter was melted and/or I used a dairy free butter, it never actually creamed). 6. 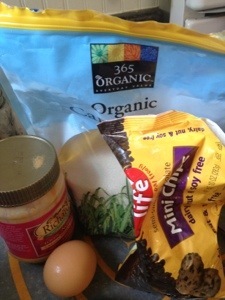 Add the egg, yolk, and vanilla extract and mix until well combined. 7. 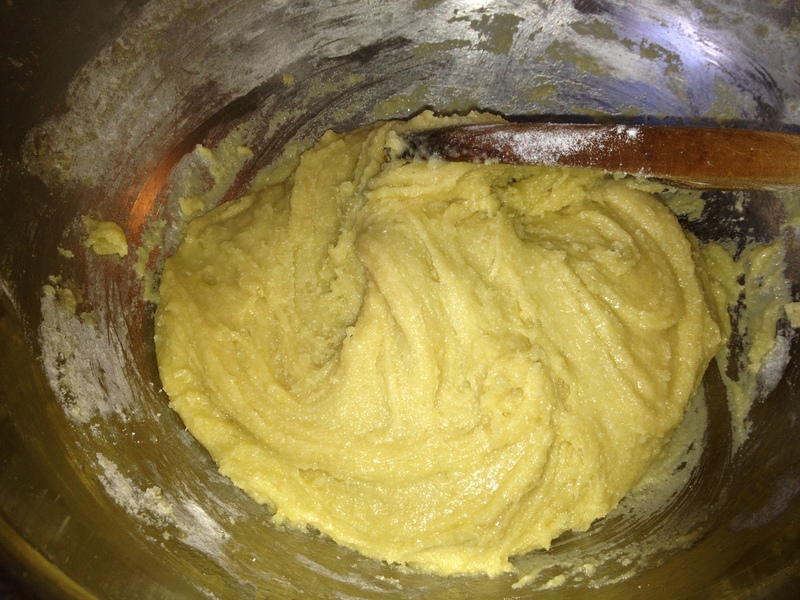 Slowly add in the flour mixture until thoroughly combined. 8. Stir in the chocolate chips. 9. Chill the dough for about 20 minutes, then scoop onto parchment-lined baking sheets. 10. 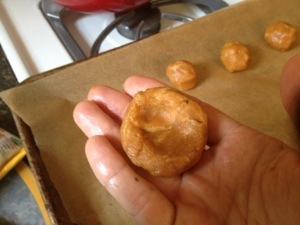 Lightly sprinkle each dough ball with a few flecks of sea salt. It helps to bring out the chocolate flavor. 12. Cool completely and store in an airtight container.